UrS4/6 front fender flares on all 4 corners. Last edited by audifreakjim on Fri Jun 03, 2016 6:13 pm, edited 10 times in total. :woowoo: :woowoo: :woowoo: let the madness begin!!! These are always my favorite threads to read good to hear, Jim! Yes, but do have the T-shirt yet? audifreakjim wrote: Yes, but do have the T-shirt yet? This is actually true.... Touche! I wonder if Jim's engine will rival Javad's??? Yeah Jim, what is your preliminary target WHP? dets wrote: I wonder if Jim's engine will rival Javad's??? 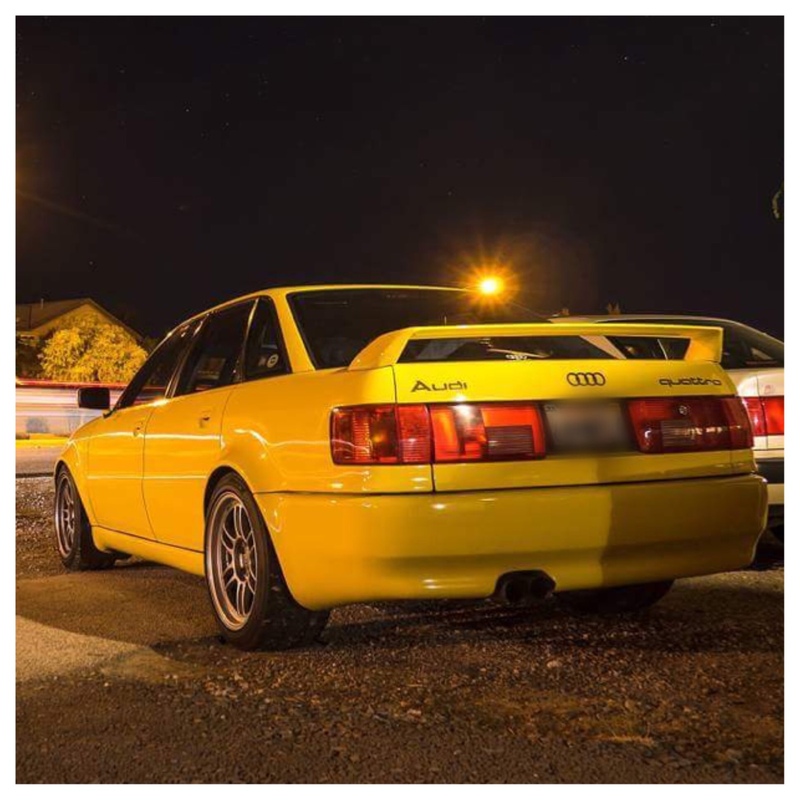 We should have a top quattro dyno thread or page. That would be good. We could track peoples progress and list your specs along with your dyno. That way people can see what works and what kind of power band results from certain combinations. Also, has anyone seen the AMS EVO with gt42r video on the street. I'm not really out to gun anyone down with this project, that was what I had the 10v for, gunning down 20v's. :-D Obviously the 20v will be quicker, but it should make 400 whp without breaking a sweat. 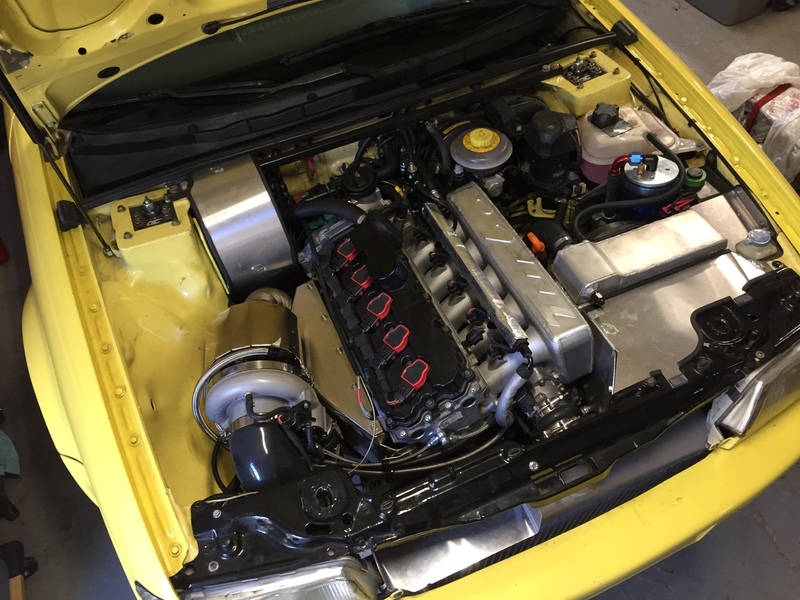 I'll be running the same turbo Javad made 455 whp with for starters. I expect to see less due to the altitude, but how much less is something I can't wait to figure out. So, this is still my daily driver, the thing was a handfull with 360 whp on the street, I think 450 whp on pump gas and WI is a good target, and with the right GT turbo (35R? )I should be able to keep the boost threshold down to it where it is now. I also picked up another 7A head without cams last weekfor $100, which is nice because I can start building on it while the other head is at the machine shop. I have maybe half of the parts on your list (the cheap half), but I'd be real interested in how you managed to get the wife to leave for a week to give you some real car time. The list is just money which comparatively is easy. That said I am impressed Jim. A ride at Pikes next year? It's all in the planning:) I just checked the schedule and they have the race set for July 1st which should work for me. I usually have big getaways planned for the 4th, but since the 4th is on Tues I should be able to swing it. IF you wanted to use a 7A block to start with you should have contacted me. I would have set you up with a good deal on one of mine. MC works fine, it already has the return line and coolant freeze plug. Not that either are big deals, but shipping a crank is alot easier than shipping a block. Thanks though! Has a freeze plug, but not the right one, interchangeable with a nippled one easy enough, what I did. Started test fitting everything, man, what a nice setup Javad provides. Farts! looks like I'm redoing the endtanks.